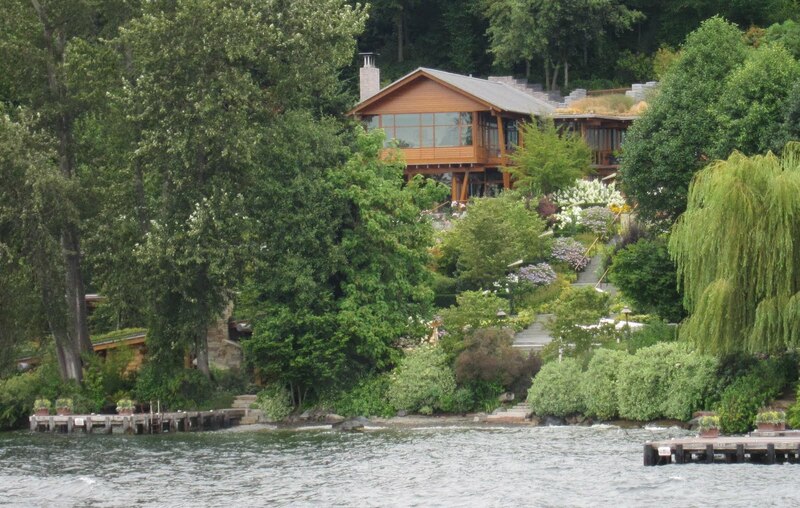 Further to yesterday's post, just north of the east end of the SR520 floating bridge sits the Gates family home. The boathouse and private salmon run are camouflaged to the left, and the main living quarters are recessed all the way up the hill. The tax history of the property shows an annual tax burden of around $1M.